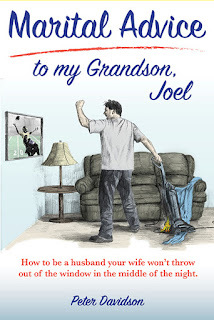 Some of the most important advice that I gave to my grandson in the book, Marital Advice to my Grandson, Joel, deals with how to avoid investment money traps and, in fact, how to become rich through investing. I'll just summarize some of the main ideas here. Problem Number One: The prices of stocks go up and down on a daily basis like a yo-yo as investors react to good news and bad news about the weather, interest rates, politics, the weather, foreign countries, and dozens of other things. Basically, investors are a bunch of chickenshits who live and die on each day's news. If there's good news, they jump in and buy stocks like crazy and prices go up. If there's bad news, they panic and sell - and prices drop like a lead-filled balloon. If investors would stop reading the newspapers, stop listening to the radio and stop watching television, they wouldn't jump in and out of the market like a bunch of scared chickens and everything would work out just fine. But, they don't, and they totally screw up the market. Problem Number Two: Sorry to be the one to tell you this, but you're not astute enough to pick the right companies to invest in and not lucky enough to know when to jump in and when to get out. Problem Number Three: Don't take this personally, but besides being uninformed when it comes to investing, you're also gullible and will be easy prey for the flimflam artists out there who are looking for an easy mark to fleece - you. My Advice: For reasons One, Two, and Three listed above, stay the hell away from investing in common stocks of individual companies - until you become an expert in evaluating companies to invest in, which takes years of study and experience to develop. More Investment Advice next week. In the meantime, a little quiz: Do you know what the Dow Jones Industrial Average is and how many stocks are in the Dow? 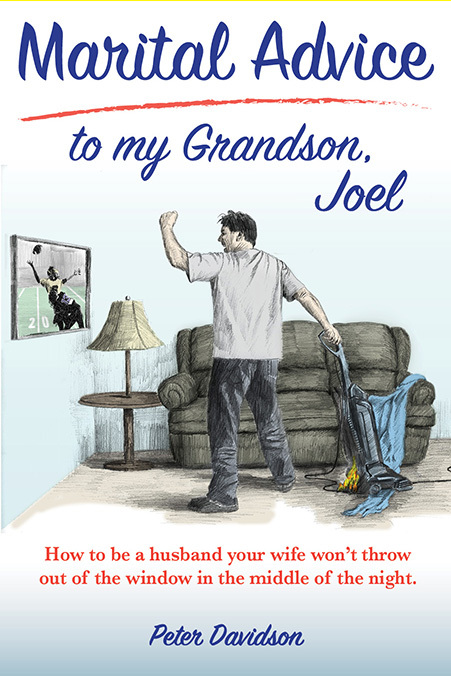 Thanks to the many people who have read Marital Advice to my Grandson, Joel and who posted a book review on amazon.com, Goodreads, blogs, and other sites.